The EDHEC Sailing Cup: a challenge successfully met! Official launch of the UK Sun Fast Challenge 2018! MISTER LUCKY - HOW DID THEY DO? Sun Odyssey 440 - New 360° visit! Stefano Chiarotti, Italian Skipper of the SUN FAST 3600, "Lunatika NTT DATA Italia"
4th edition of the Jeanneau Chinese Owner’s meeting : A rendez-vous of sharing and passion for sailing! The Cap Camarat 10.5 WA was named “Motor Boat of the Year 2016" in the “Day Cruiser” category! 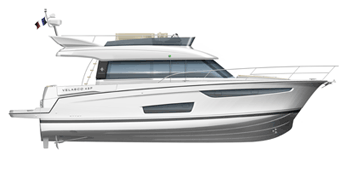 The Leader 30 has won the first “Barca Dell’Anno” award in the category of 30-footers! SUN FAST 3200 WINS THE 2016 BREWIN DOLPHIN COMMODORES' CUP! Jeanneau Yachts Events in Palma de Majorca!